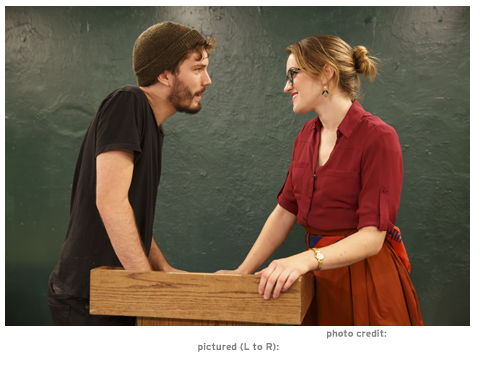 "A tickling breeze of possibilities ripples through 'Two Class Acts,' short plays of modern love and ancient days now running in repertory at the Flea Theater. That spirit, with its enthusiastic sense of art's potential to portray and effect transformations, is youthful in nature...Directed by Stafford Arima, 'Ajax' turns audience members into students in Meg's classroom, where we become firsthand witnesses to the sort of growing, line-crossing intimacy between teacher and student that usually ends in tears, if not public censure and expulsion... 'Squash,' also directed by Mr. Arima (and warmly designed by Jason Sherwood), emanates a similarly optimistic glow, but it is a more fully integrated play." "Since there is a brisk run time of one hour, the production team had to be cognizant of efficiencies. 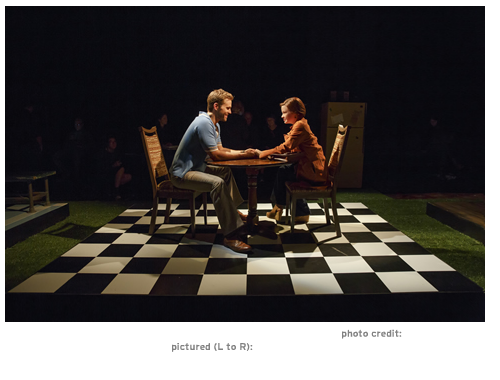 One such example was the inventive use of space—having the set as one long piece minimized scene changes. It also, inventively, showed that no matter how you try to keep parts of your life separate (i.e. Dan's home life from his school life; the Squash locker room from home; the bar from home), life has a funny way of bleeding them all together. In short, an hour watching 'Squash' is time well-spent. Not only will you be entertained, but you'll also be intellectually stimulated." "The Flea Theatre and its resident acting company The Bats are presenting two one-acts, 'Ajax' and 'Squash.' Both are world premieres by A. R. Gurney...There's some fine energetic acting by Olivia Jampol and Chris Tabet. And, as directed by Stafford Arima, 'Ajax' nicely straddles the ancient Greek and modern American world." "Sometimes, all the right elements come together to make a production that's just delightful. In 'Two Class Acts,' those include forbidden romances, identity questions, academic debates, and an intriguing blend of classical themes in contemporary contexts. Not to mention the artistic elements that come together here: visceral acting, transporting, detail-oriented design, Stafford Arima's masterful staging, and A.R. 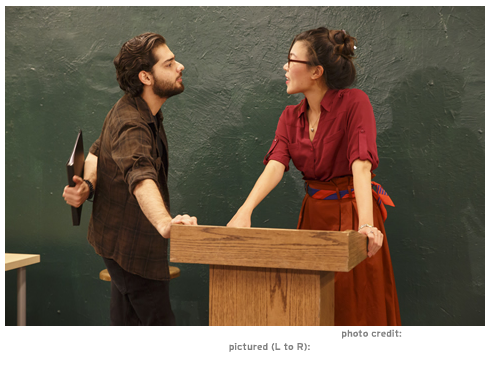 Gurney's buoyant yet dynamic new plays, all housed at the fearless Flea Theater…Gurney's writing is delightful, and Arima's staging thrusts the audience into the heat of these scandalous encounters between students and professors. 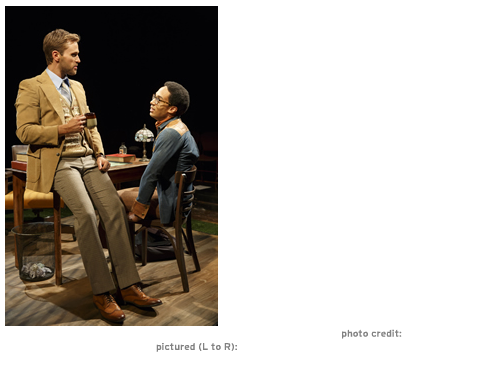 I suspect Sophocles' spirit is smiling down on the Flea as the downtown New York 'agora' comes together over the refreshingly fun 'Two Class Acts.'"